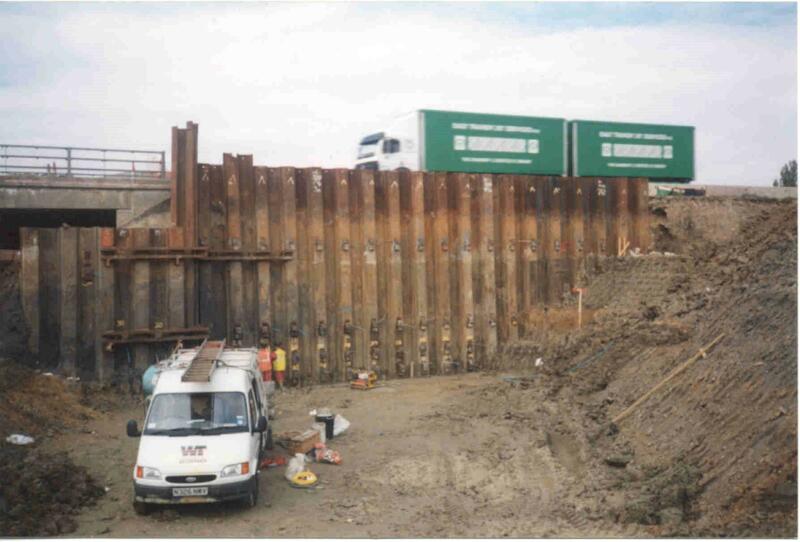 During the upgrading of the A1(M) to three and four lane motorway standard, extensive excavations for a new bridge abutment were required at Alconbury in Cambridgeshire where the A1 crossed a local road. 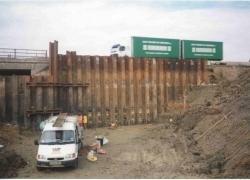 Deep sheet piling, with significant highway loadings above, was needed to retain the earthworks and provide a large margin for safety. 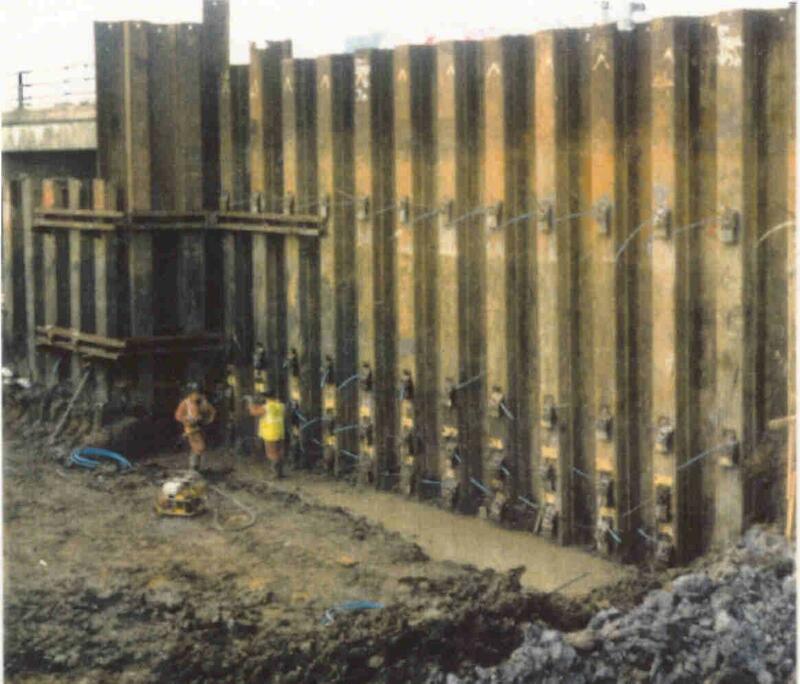 Mechanical ground anchors from Anchor Systems (International) were specified by main contractor RMG Construction Joint Venture, comprising Alfred McAlpine, AMEC, Dragados and Brown & Root. 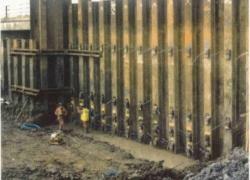 As excavations progressed for the abutment, installation of four rows of mechanical ground anchors on the 9m high sheet piles was undertaken by sister company, WT Specialist Contracts. Using a JCB with Montabert 125 breaker, WT drove the mechanical ground anchors, with 20mm high yield bars, to a depth of 6m into the dense clays and pulverised fuel ash. For additional safety, due to the A1 traffic loadings, the anchors were grouted and, after 24 hours, tensioned to 130kN proof load. They were then relaxed to a 65kN working load, providing an adequate safety margin, and terminated with 20mm plates and load nuts. RMG Construction Joint Venture chose the cost-effective mechanical ground anchor system for its high capacity loadings capability and because supply, testing and rapid, trouble free deployment could all be undertaken by WT companies under sub contract.